If you’re a fan of vinyl and U2, then make note that Bono and the crew will release remastered editions of three of their classic albums on 180-gram vinyl on April 13. The records include the 1985 EP Wide Awake in America, plus the group’s studio albums “Pop” and “All That You Can’t Leave Behind,” from 1997 and 2000, respectively. “Pop” was, well, a pop-fused take on U2, with some techno and electronica flourishes added to the band’s rock ‘n’ roll styling. The upcoming reissue is a two-LP collection with a replica of the album’s gatefold and inner sleeves and lyrics-sheet insert. 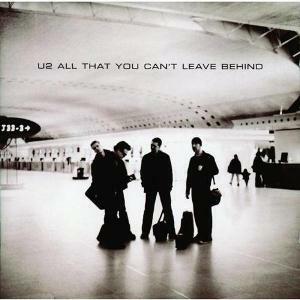 “All That You Can’t Leave Behind” is known for spawning the hit single, “Beautiful Day,” as well as the rock tunes “Stuck in a Moment You Can’t Get Out Of,” “Elevation” and “Walk On.” The reissue for “All That You Can’t Leave Behind” will pack a 16-page booklet with lyrics, as well as photos from famed photographer Anton Corbijn. If you want your vinyl and digital fix, the three reissues will also each arrive with a download card. In other news, U2 is gearing up for a new North American tour in support of their latest album, “Songs of Experience.” The trek runs through May and June. For information, head to U2.com.